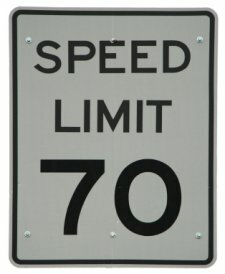 What is VC 22356(b) Speeding? A charge under VC 22356(b) alleges that you drove over 70 miles per hour on a highway. What Are VC 22356(b) Penalties? If you are found guilty or simply pay the fine for a VC 22356(b) the DMV will place a point on your record for 3 years. Insurance companies then take you off “good driver discount” status and increase your premium accordingly. Over the course of 3 years you may pay $900 to $4,000 more for car insurance just because of a point.